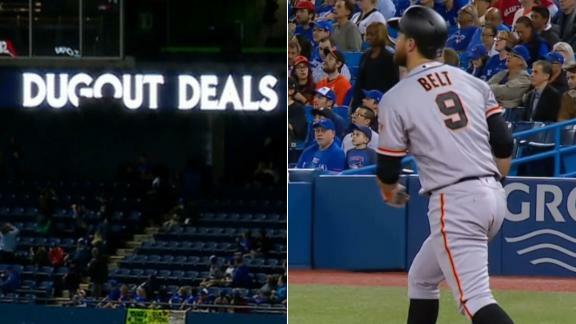 Brandon Belt smashes a solo shot to right field that breaks a sign in the stands. 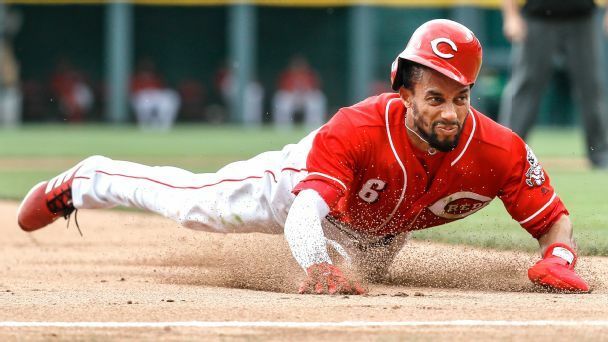 Belt was scratched from Saturday's lineup against the Rockies due to neck stiffness, Chris Haft of MLB.com reports. 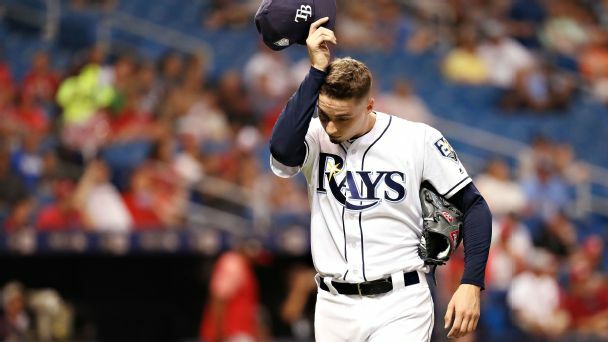 Buster's Buzz: Wait, the Giants are interested in Jacoby Ellsbury? 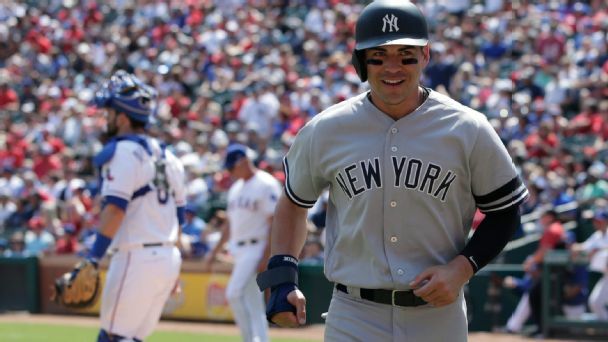 The Yankees outfielder is 35 and hasn't played in a major league game in 476 days. Still, San Francisco picked up the phone. Is there an unlikely deal to be made? 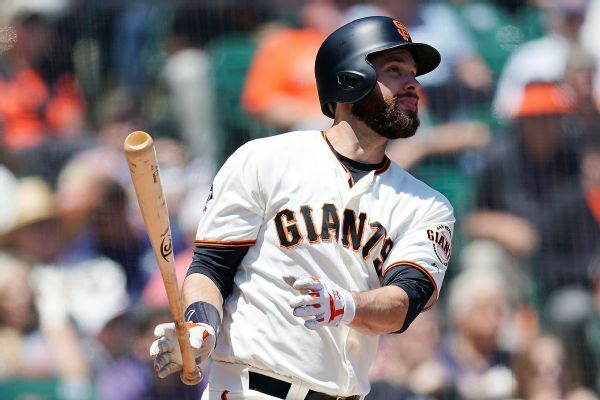 Giants first baseman Brandon Belt is expected to be ready for spring training after having surgery Friday to clean up his torn meniscus and cartilage damage in his right knee. 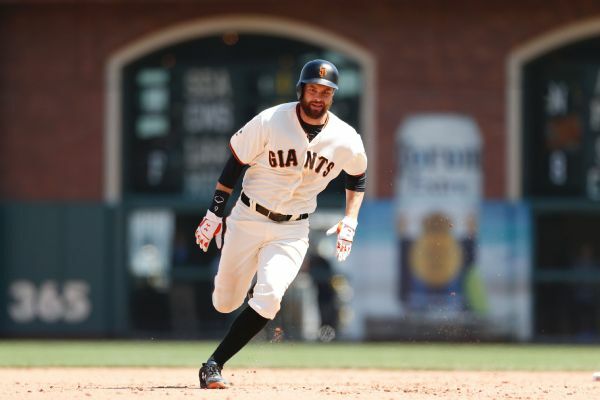 Giants first baseman Brandon Belt's move to the disabled list with a hyperextended knee coincides with the return of third baseman Evan Longoria, who has recovered from a fractured left hand. Giants first baseman Brandon Belt will undergo more tests Thursday after hyper-extending his right knee in the Giants ' 3-2 loss to Seattle Wednesday. 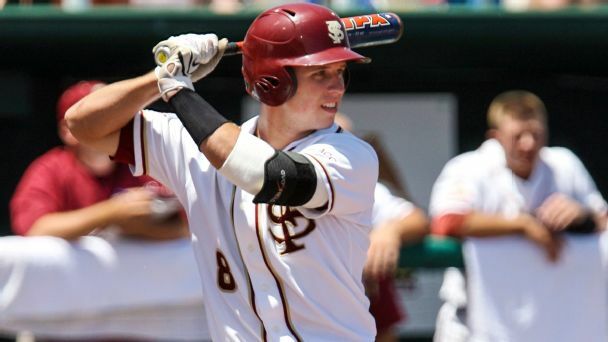 Manager Bruce Bochy said the 'best case' was that Belt will miss two or three games. 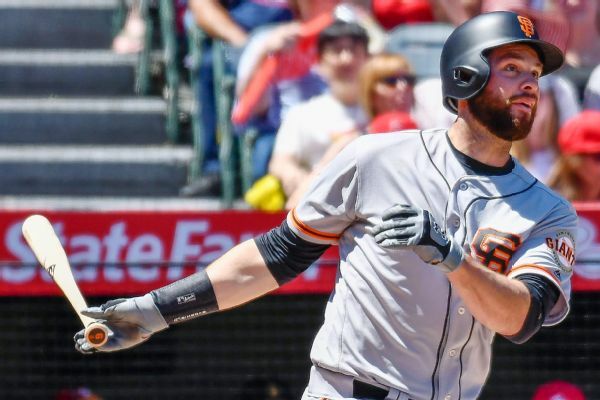 San Francisco Giants first baseman Brandon Belt is expected to rejoin the team in Los Angeles this weekend following emergency appendectomy on June 2.